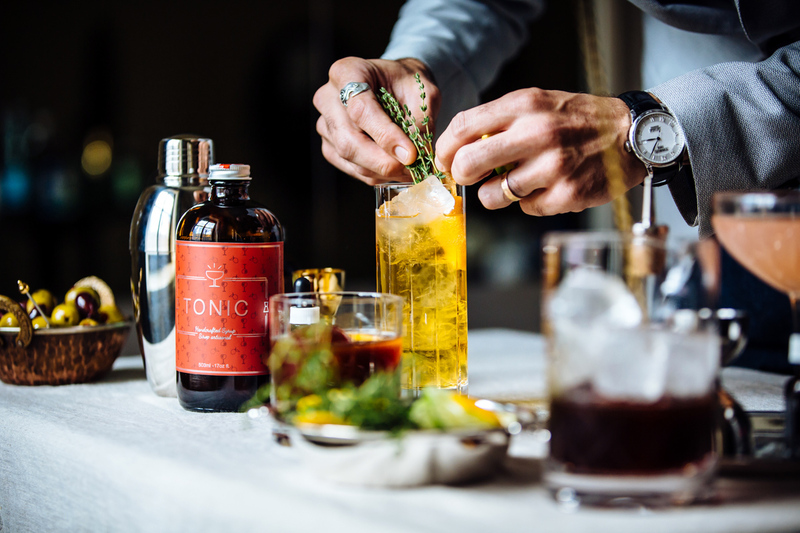 Accor – Newsroom | Shake, stir, strain: Fairmont unveils new selection of curated barware and cocktail offerings. Shake, stir, strain: Fairmont unveils new selection of curated barware and cocktail offerings. TORONTO, November 7, 2016 – Building on the worldwide success of Fairmont’s Tastemaker program and global Classics Perfected cocktail menu, the luxury hotel brand is expanding further into the cocktail space with the release of new packages, events and a selection of specially curated barware products at Fairmont Stores in North America. The new Fairmont Store barware section features a curated array of beautifully designed premium home bar products such as the brand’s Classics Perfected signature Schott Zwiesel crystal glassware, BIRDY BY ERIK LORINCZ (BIRDY) bar tools designed by Fairmont Tastemaker Erik Lorincz, small batch Bittered Sling bitters and N.A.D Syrups formulated by Fairmont Tastemaker Nader Chabaane. Products are now available in-store and at Fairmontstore.com. Fairmont guests can develop their knowledge and refine their cocktail skills by drawing on the various resources available at Fairmontcocktails.com, the brand’s hub for Fairmont cocktail culture including how-to-videos, recipes and best practices. A special series of cocktail-inspired Sip & Stay packages will also be available at hotels across the United States, Canada, Mexico, Bermuda and Barbados starting November 1st. Guests can enjoy an evening in Fairmont’s luxury accommodations as well as a cocktail-inspired welcome amenity, a $50 F&B credit and 15% off the new barware section of the Fairmont Store. Full details and participating hotels can be viewed here. Guests who want to learn how to mix the perfect cocktail in person can meet Fairmont Tastemakers Grant Sceney and Nader Chabaane at Fairmont Chicago on December 8th for a special Classics Perfected Fairmont Visa Signature Card event delivered in partnership with the brand’s top spirit partners. Tickets for this exclusive event will be released in November. All those interested in participating can be added to the waitlist by emailing rsvp@fairmont.com. New events, offers and content will be released on Fairmontcocktails.com on an ongoing basis, giving Fairmont guests new ideas to inspire their cocktail journey. Fairmont Hotels & Resorts connects guests to the very best of its destinations worldwide, providing travelers with memorable travel experiences, thoughtful and attentive service and luxury hotels that are truly unforgettable. Each Fairmont property reflects the locale’s energy, culture and history through locally inspired cuisine, spirited bars and lounges and distinctive design and decor. With more than 70 hotels globally, and many more in development, the Fairmont collection boasts some of the most iconic and distinctive hotels in the world. This extraordinary collection includes The Plaza in New York, The Savoy in London, Fairmont Grand Del Mar, Dubai’s Fairmont The Palm, Fairmont Peace Hotel in Shanghai, Fairmont San Francisco and Fairmont Le Château Frontenac in Québec City. Fairmont is part of AccorHotels, a world-leading travel & lifestyle group and digital innovator offering unique experiences in more than 4,000 hotels, resorts and residences, as well as in over 2,600 of the finest private homes around the globe. For more information or reservations, please visit fairmont.com. Become a fan of Fairmont. Follow us on Facebook, Twitter, Instagram, Pinterest, and Fairmont Moments.